Friday night lights are back as high school football will be in full swing across the country this weekend. With most of college football still a week away, ESPN is taking the opportunity to show numerous high school games on its family of networks with the Geico High School Kickoff. On Friday, Aug. 25, St. John Bosco (Calif.) takes on St. Thomas Aquinas(Fla.) at 6 pm on ESPNU. That game features Huskers 2018 targets defensive back safety 4-star Stephan Blaylock‍, 4-star defensive back Jaiden Woodbey‍ (Ohio State commit) and 2019 4-star CB Chris Steele‍ for St. John Bosco. St. Thomas Aquinas 4-star cornerback Asante Samuel Jr. also holds a Nebraska offer. The second game in the double header is DeMatha (Md.) versus Bishop Gorman. DeMatha defensive tackle 4-star Austin Fontaine‍ holds a Nebraska offer while 3-star running back Kirby Bennett‍ and 4-star linebacker Palaie Gaoteote‍ are the 2018 players with Husker offers. The Saturday slate kicks off with Tulsa Union (Okla.) versus Broken Arrow (Okla.) at 11 a.m. on ESPN. 4-star wide receiver CJ Moore‍ plays for Tulsa Union. The game after that between Saraland (Ala.) and Heard County (Ga.) at 2:30 p.m. central on ESPNU features one of the few quarterbacks Nebraska offered for 2018, Stanford commit 4-star Jack West‍ who attends Saraland. The late game on Saturday night is IMG Academy (Fla.) vs. Chandler (Ariz.) at 9:30 p.m. on ESPNU. 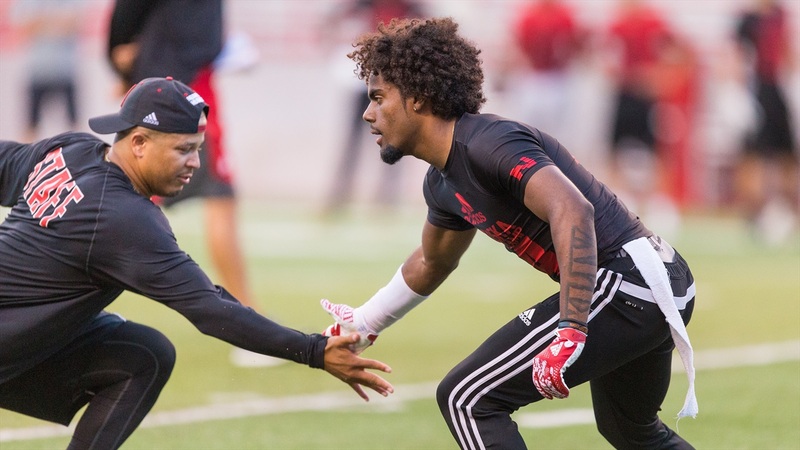 Nebraska commit, 4-star defensive back Brendan Radley-Hiles‍ is the headliner for Nebraska fans. Other IMG Nebraska targets are 4-star wide receiver Brian Hightower‍ (Miami commit), 4-star defensive back Houston Griffith‍, 4-star running back TJ Pledger‍ (Oklahoma commit) and 2019 4-star wide receiver Cameron Coleman‍.